At I8C several consultants are working with Datapower. We were pleased with the announcement of the virtual datapower. The virtual datapower that is released is the WebSphere Datapower Service Gateway XG45 Virtual Edition for Non Production Environment Version 5.0.0. The deployment is very simple. 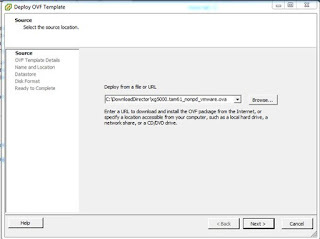 First we downloaded the ova file (xg5000.tam61_nonpd_vmware.ova), with it came also a release kit. The ova file is less then 700 MB. This ova file was then deployed to our esx server by using the wizard. The wizard is very straightforward. After the wizard is completed the esx client started to deploy the virtual appliance. One coffee later the appliance is deployed. We could then start it, go to the console and start our first session. The default user and password is admin/admin. The initial steps are the same as on a regular datapower. 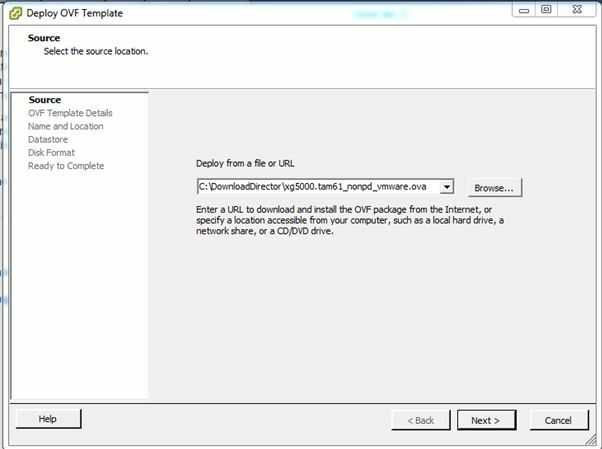 See Setting up the initial firmware configuration in the Datapower SOA Appliances V5.0.0 Infocenter. Because we used dhcp for our datapower we needed to know the ip address. At the console you can find the ip address by issuing the commando show ethernet. Afterwards we where able to go to the webgui. Excellent article, thanks for posting. In the absence of IBM X series server, is it possible to setup on a Windows desktop / notebook purely for a learning & hands on practice purpose. I tried it on Workstation 7 and 8 but wasn't able to run it on a local machine. A collague runs a datapower in VMWare Player 5.0.1. It is not supported by IBM but for learning it will do. He did get a warning when opening the ova file. Good luck with your hands on experience. You will love datapower. Could you confirm your colleague used vm player on Win 7. Does the OVA file is free for the customers with datapower device, is there another avenue available to obtain a copy of the ova file for evaluation from IBM ? Do you know if DataPower virtual edition is available for download? I can find XC10. Didn't find XI52 or XG45. Virtual editions of XG45 and XI52 (v5.0.0) are available. As IBM business partners, we download them via Partnerworld. We have these virtual DataPower editions running on our VMWare ESX 4.1 server and local laptop with VMWare Workstation 8. Do you know if image will run on 32 bit windows ? Or you use it on 64?